Arturo Perez de Alejo Rodríguez was born in Manicarauga, Cuba on May 23, 1951. He received a degree in topography and worked in several different fields, including as a subsistence farmer and as a surveyor. As a young man, Arturo believed the 1959 Cuban Revolution that brought Fidel Castro to power would change Cuba for the better. Arturo soon became disenchanted with the Castro regime. He was drafted into military service and sent as part of a Cuban force in Angola’s civil war during the 1970s. As a soldier, he witnessed acts of brutality that sharply contrasted with the official version of events. In 1980, thousands of Cuban citizens stormed the Peruvian Embassy seeking asylum to escape from the Castro regime. 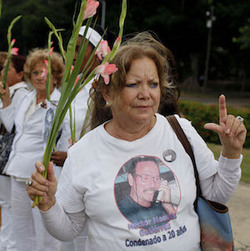 Following the incident, the regime announced it would allow people to leave Cuba, but privately, the government encouraged its supporters to harass and brutalize those fleeing the island. The events at the Embassy of Peru led Arturo to break with the government. 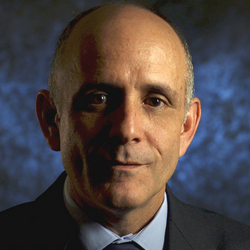 In the 1990s, Arturo became more active in the Cuban opposition. 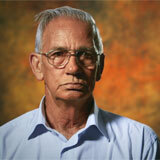 In 2001, he founded the Escambray Human Rights Front, which monitored human rights violations in the region. Arturo was arrested in March 2003, as one of 75 nonviolent dissidents during a massive crackdown known as the Black Spring. 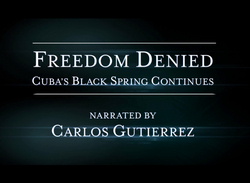 He was subjected to a summary trial and sentenced to 20 years in prison for his opposition to the Castro regime. After more than seven years as a prisoner of conscience, Arturo was freed in 2010 when the Catholic Church and the Spanish government negotiated the release of the 75 Black Spring prisoners. He and his family were exiled to Spain where they lived for several years, before resettling in the United States.